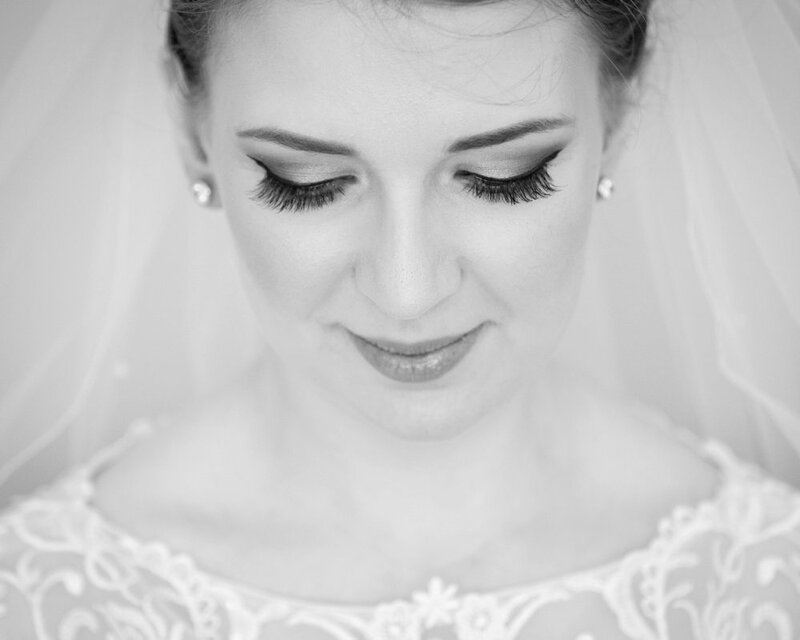 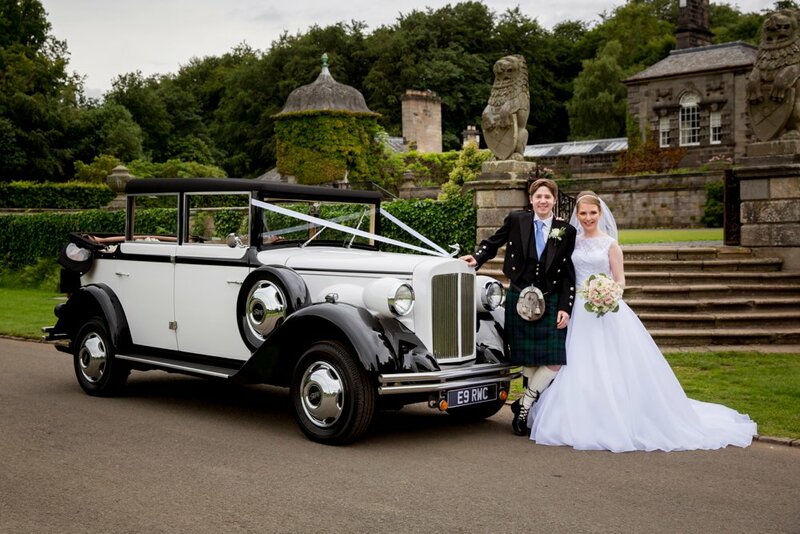 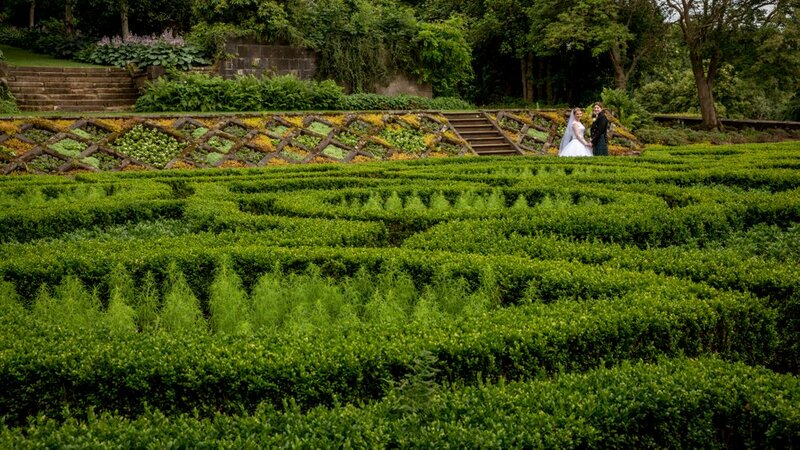 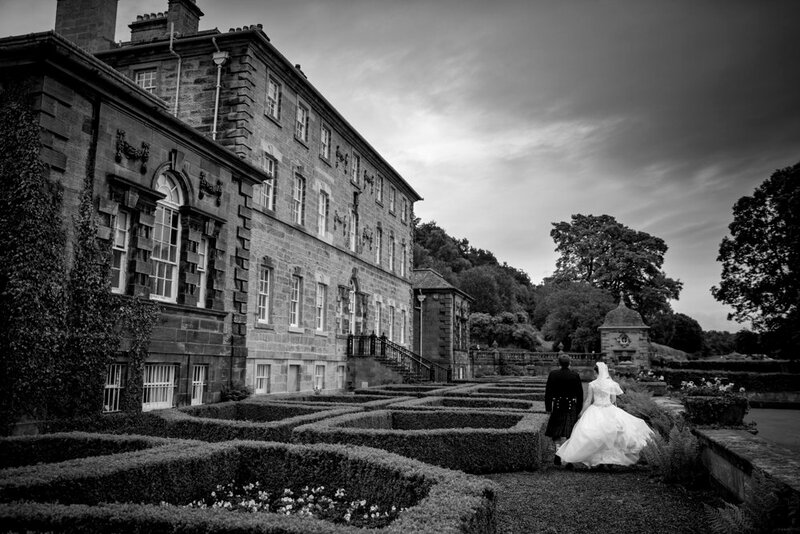 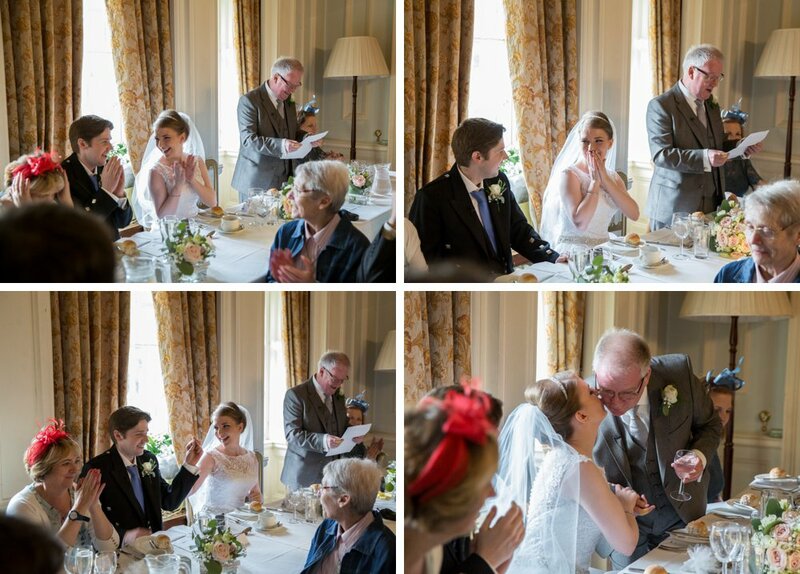 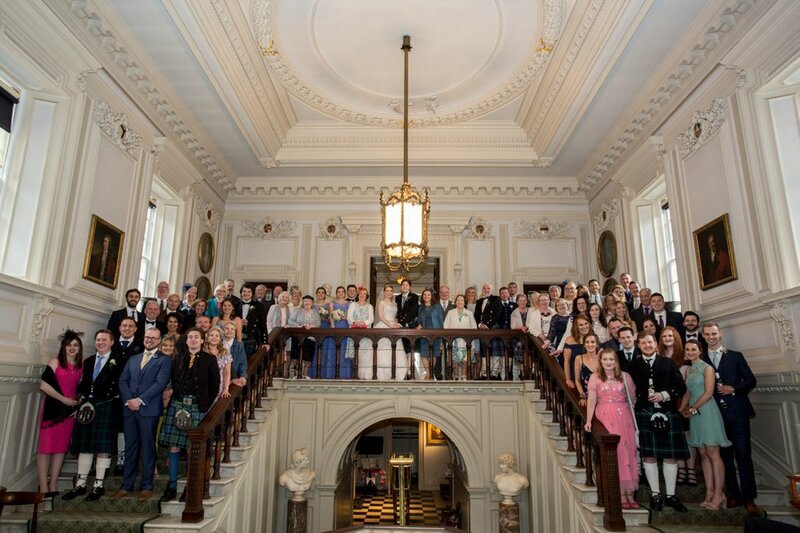 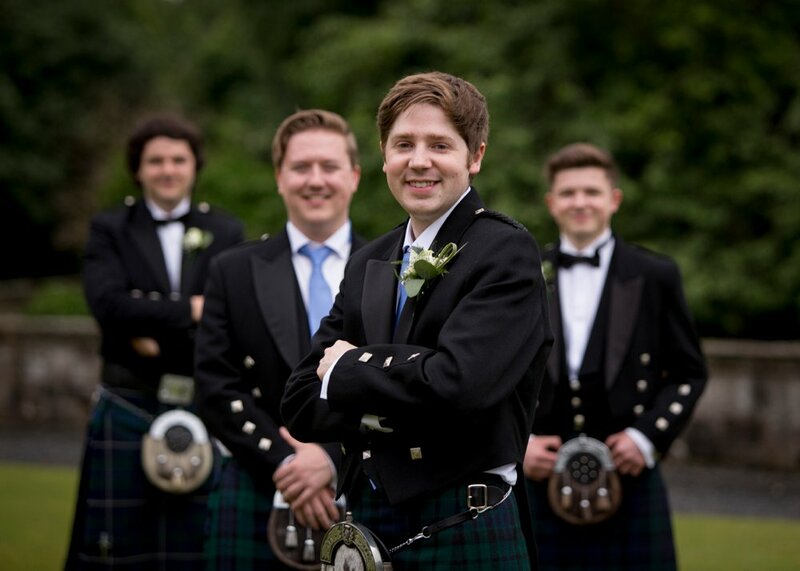 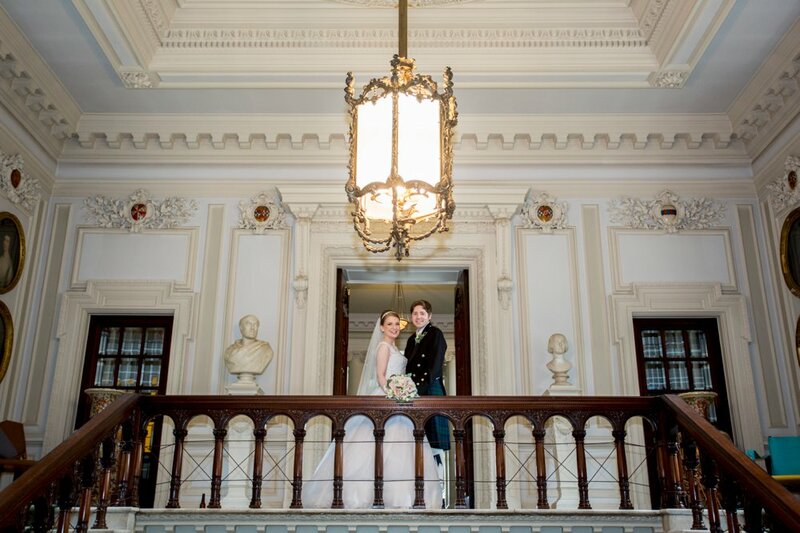 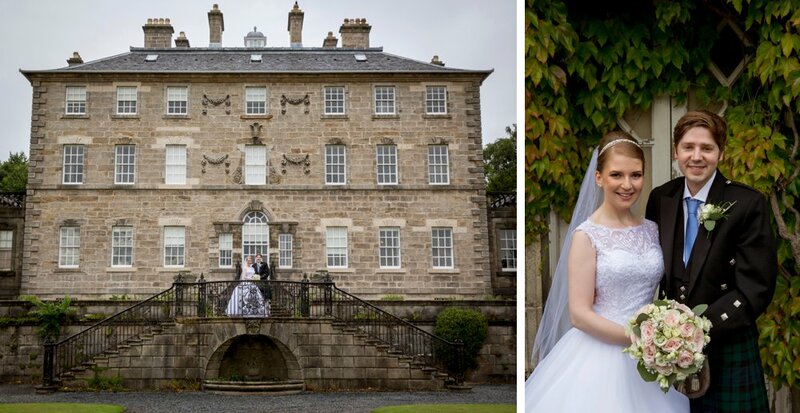 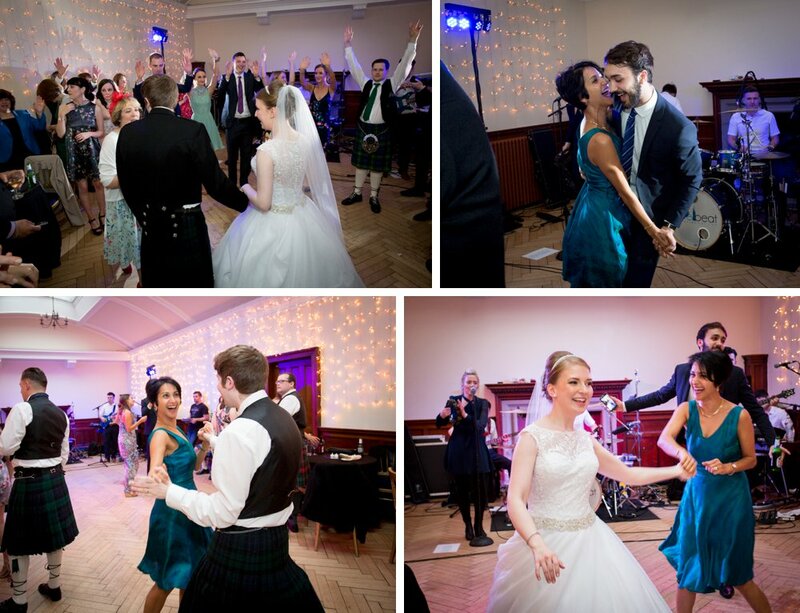 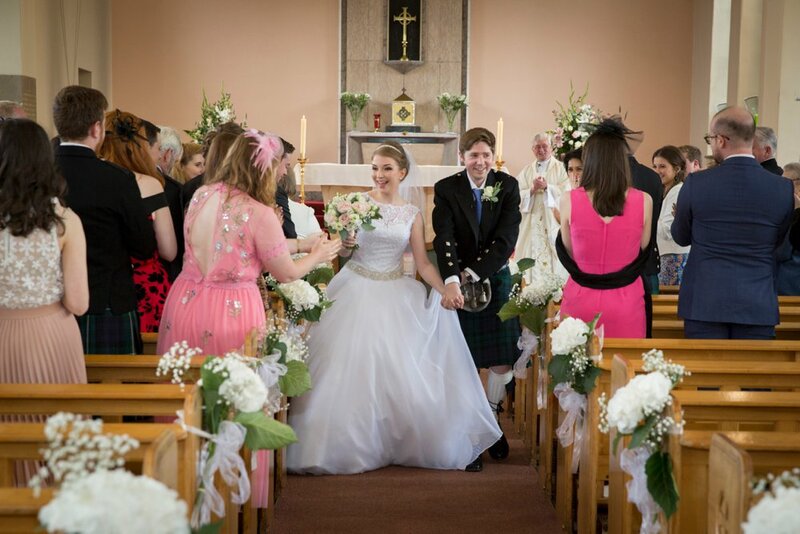 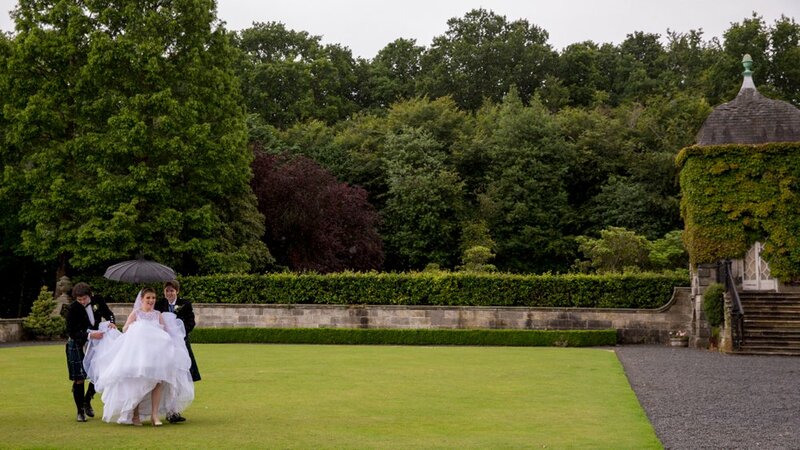 Three years of planning for Louise and Calum’s Pollok House wedding involved visits to numerous wedding fairs – and Louise thoroughly recommends them for finding wedding suppliers. 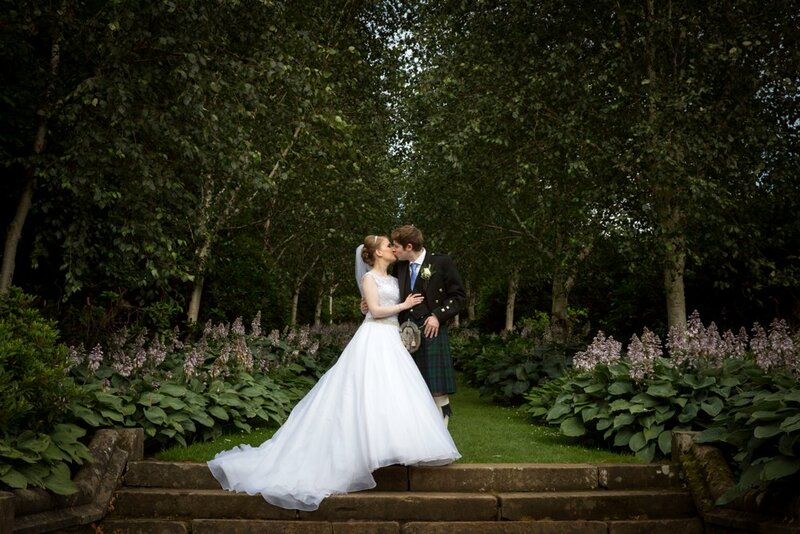 This included photographer Stuart: “Stuart was just the best. 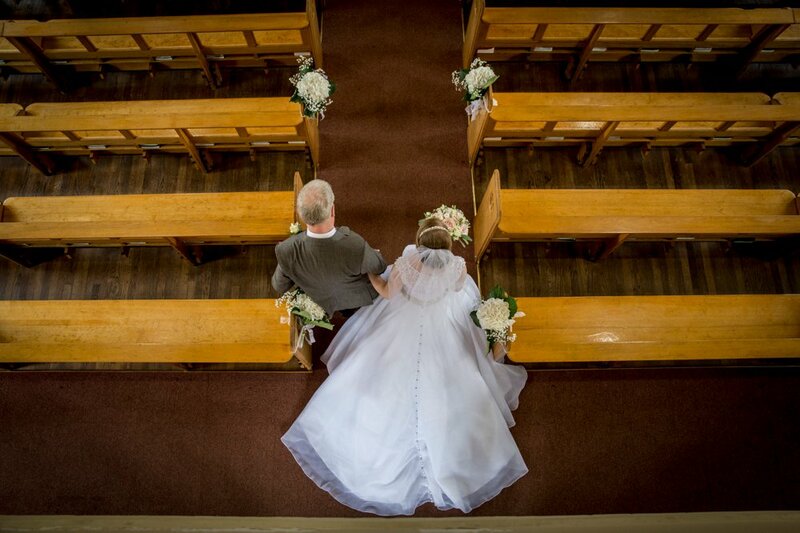 He made us so comfortable”. 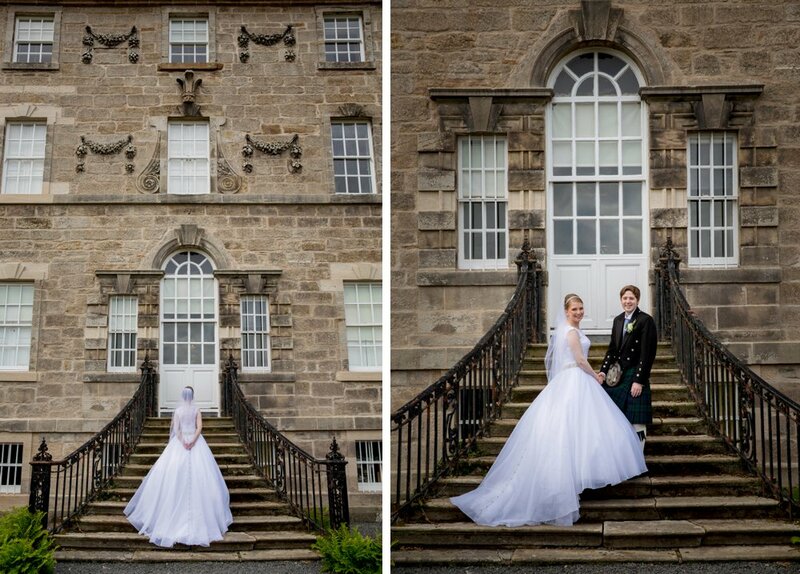 Their favourite photos of the day include some of Louise and Calum walking through the grounds and one of guests taken on the Pollok House staircase that is going to be printed, framed and hung on their wall. 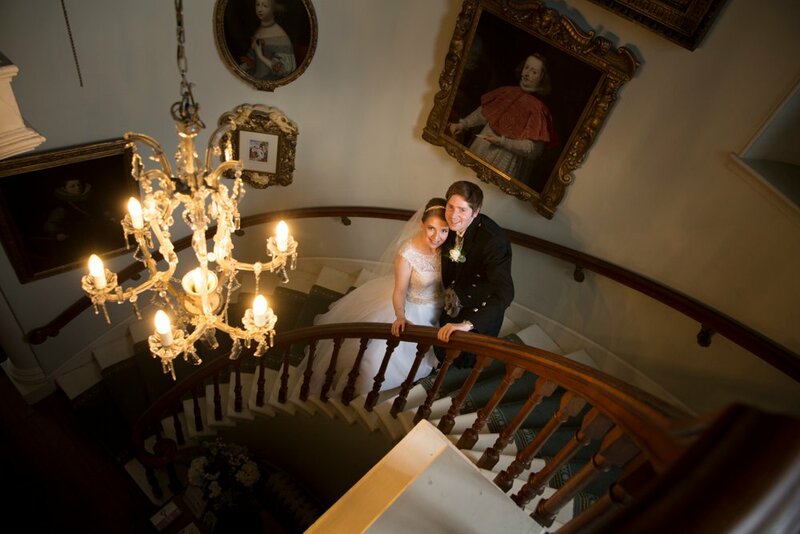 “We’re both so impressed with the photographs,” Louise said. 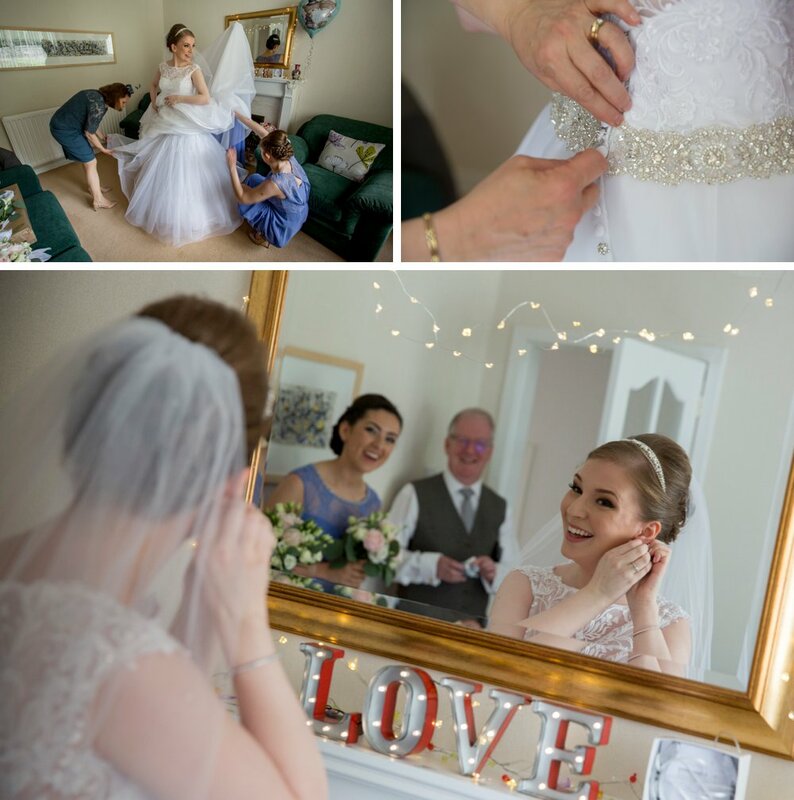 Louise found her dress on the Angelique Lamont Bridal Wear website and visited their shop to try it on. 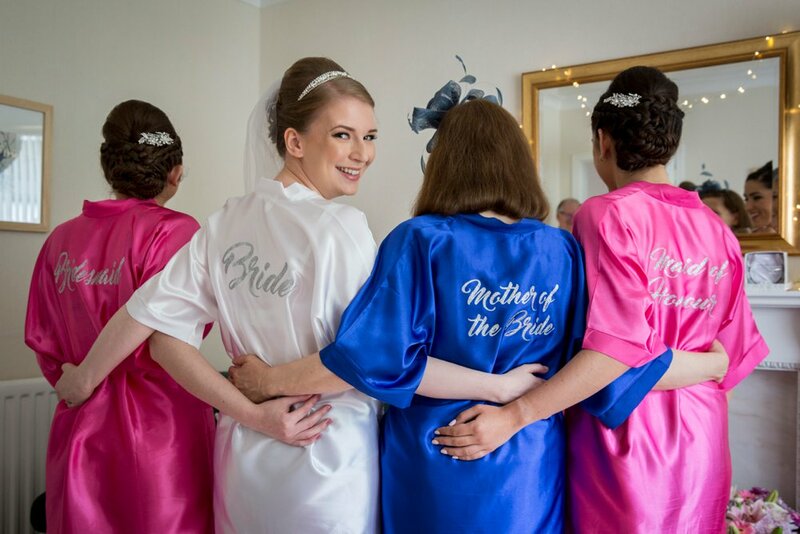 Even though the only one they had was a size 22 and Louise is a size 10, she could still see that it was ‘the dress’ when she was pinned into it. 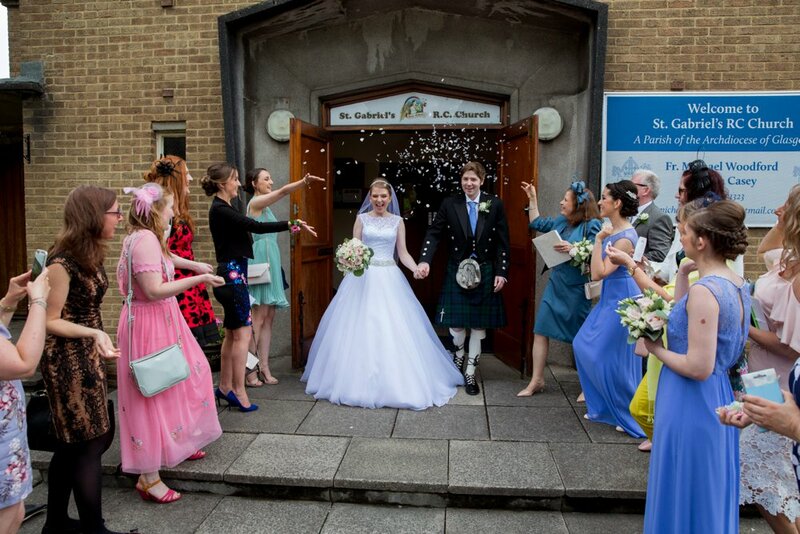 Louise and Calum’s wedding cake had four layers: sticky toffee pudding, pink velvet (a strawberry version of red velvet), chocolate with salted caramel and carrot cake with goji berries. 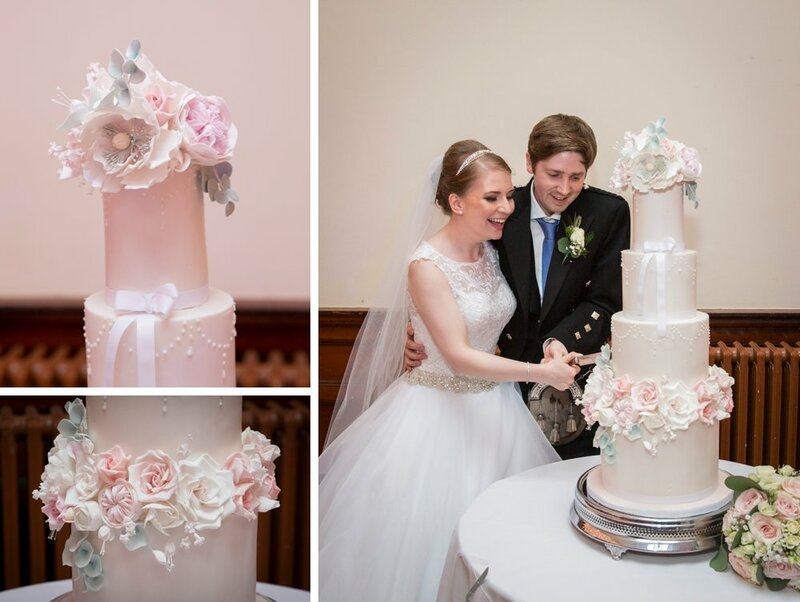 Edwina of Rosewood Cakes decorated the layers with handmade sugar flowers. 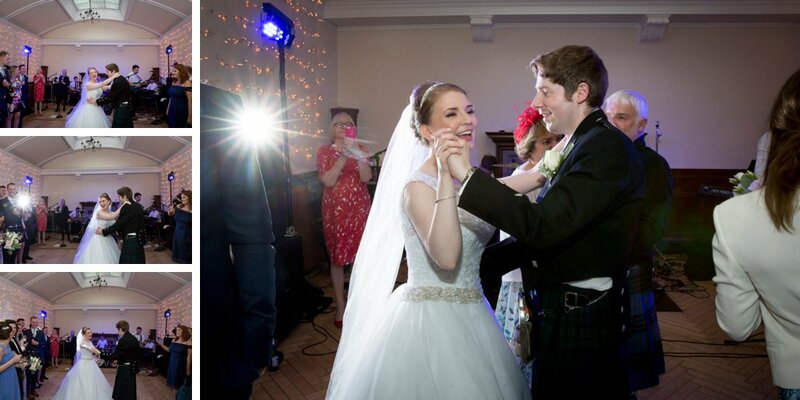 Louise and Calum honeymooned in Sorrento on the Amalfi Coast, leaving the day after their wedding.